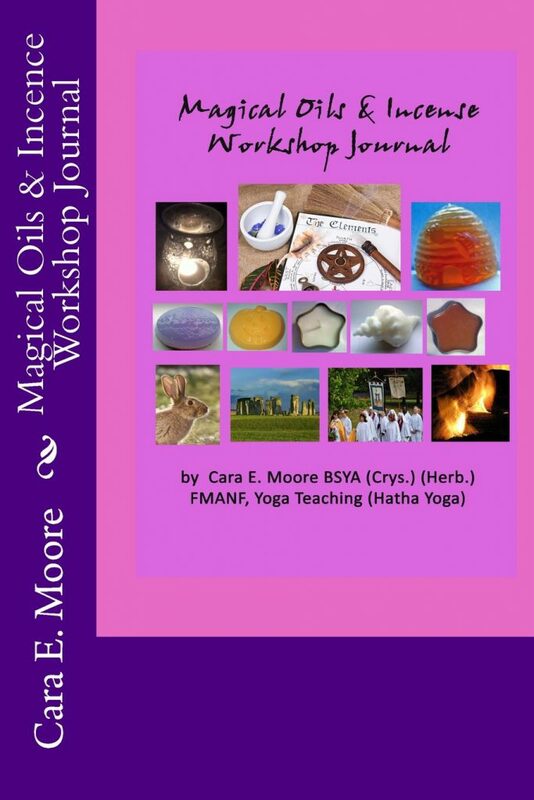 Magical Oils & Incense Workshop Journal is a resource for making your own incense and magical oils for rituals and spell casting with the natural magical order of combining colours, days, elements, intentions and the planets. This helps to bring about better magical workings with more healing and empowering results. Sections on celebrating the Celtic Wheel of the Year Festivals are also included. Herb vibrations and energies are connected to the planets, to astrological signs, to colours, to crystals and days of the week. The ingredients used all into five categories: Herbs, Gums, Resins, Oils, Woods and Spices. Herbs: If growing own herbs, moss agate in the soil near roots help herbs to flourish and a small quartz crystal to protect them from negative influences. Some herbs never to use include: Boxwood, Foxglove, Lily-of-the-Valley Mistletoe, Monkshood, Daffodil, Belladonna, Tomato, Eggplant, Oleander, Poison Ivy, and Wormwood. Gums: Gum tragacanth (Astragalus gummifer), a little goes a long way, usually can get in a cake decorating supply shop as it is used in sugar paste. Myrrh (Commiphora myrrha) comes from a North African plant, scent is rich, emotive and deep, often combined with Frankincense to lighten the scent. Benzoin (Styrax benzoin) derived from a native Sumatran plant. Used as a preservative in soaps and cosmetics. Scent similar to Vanilla. Camphor (Cinnamomum camphora) Used in chest rubs, native tree to China and Japan. Used as a decongestant. Dragon’s Blood (Daemonerops draco) Indonesian plant. Has a rich, deep, woody scent. Copal (Hymenaea courbaril) derived from a tree native to Central America. It is the western version of Frankincense. Essential Oils: Can be added to incense mixtures at a rate of one drop per teaspoon of dried mix. Evergreen such as fir, pine, spruce and cedar. Balsam fir makes an excellent incense. Sandalwood – has a rich exotic scent, which blends well with other ingredients. Wild Cherry and other fruit woods. Wild cherry has an almond like scent. I charge thee, by the Moon and Sun To work for me positively To bring me … * (luck, love, health, prosperity etc.) So mote it be. Colour vibrations have a significant effect upon a person’s health, psychological condition and general well-being. Purple – high vibration colour, spiritual shade, represents strength, mastery and magical powers. Blue – Healing and protective colour. Used for spiritual development, luck, has a calming influence. creativity, love, attraction, art, change and balance. Orange is the colour of optimism, success, ambition and courage. Red represents life, energy, vitality, passion, conflict and competition. 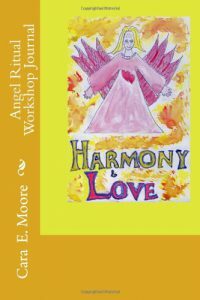 Rituals for emotions, instincts and intuition. Use the colours white and silver. Rituals: for passion, vitality, courage and resolving problems. Use the colour red. Rituals: concerning luck, ability, creativity and communication. Use the colours orange or purple. Rituals: concerned with healing, health, prosperity and expansion. Choose the colours green and dark blue. Rituals: Work towards love, pleasure and luxury. Use the colour pink. Rituals: Protection, banishing negativity. Colour black. Rituals for success, reaching goals, wealth, confidence building. Use the colours yellow or gold.